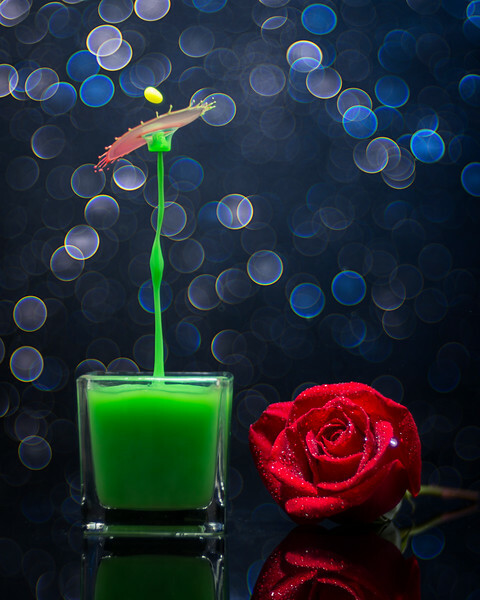 For this image, I use juxtaposition to compose the image using the high speed colliding water drops and the still red rose as subjects. The soft bubble bokeh in the background adds depth and interest to the overall image. All elements of this image were captured with one exposure and finished with some minor adjustments in photoshop.